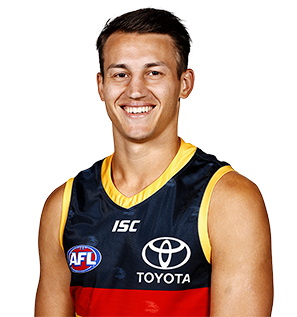 Overcame a pre-season knee injury to play 15 SANFL games in 2017, finishing one vote behind veteran Scott Thompson in Adelaide’s State League Club Champion award. Doedee showcased his courage and ability to read the play as the No.1-ranked intercept player in the competition. The athletic defender averaged 17 disposals, five marks and four rebound 50ms in defence, often using his impressive vertical leap to combat bigger opponents. With a strong pre-season, Doedee will be aiming to break into the senior team in 2018. Doedee had a delayed start to his year due to pre-season knee soreness. 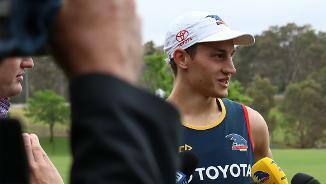 He recovered to make his Club debut in the SANFL Showdown in Round Two and went on to play 19 games for the year. The medium-sized backman impressed with his one-on-one defending, often against bigger and more experienced opponents. His courage was also a feature, as he regularly floated back with the flight of the ball to mark or spoil. Developed his offensive game as the year went on, collecting a season-high 24 disposals in Round 20 against Norwood. 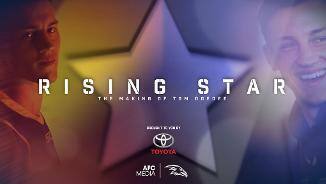 Finished seventh in the Crows’ State League Club Champion award and is one to watch in the future. Adelaide’s second pick in the 2015 AFL National Draft, Doedee is a competitive and courageous defender who also played as a forward for St Joseph’s College. The former Geelong Falcon, who has only played football for three years, excels one-on-one, is strong overhead and clean below his knees. He has the capability to play on taller or smaller opponents. Doedee showed off his athleticism at the AFL Draft Combine, finishing fifth in the agility test and ninth in the relative vertical jump.